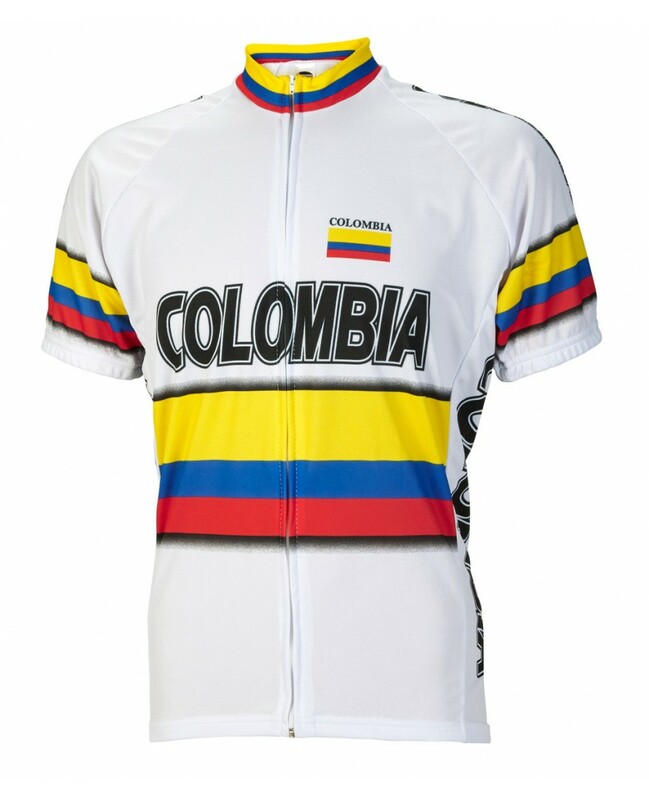 This Colombia Mens Cycling Jersey is made from 100% Polyester DrySport(tm) wicking fabric to effectively move moisture away from your skin to keep you cool and collected. Since our jerseys are made to look as good as they feel we hide the full length zipper to keep the pattern clean and elegant. 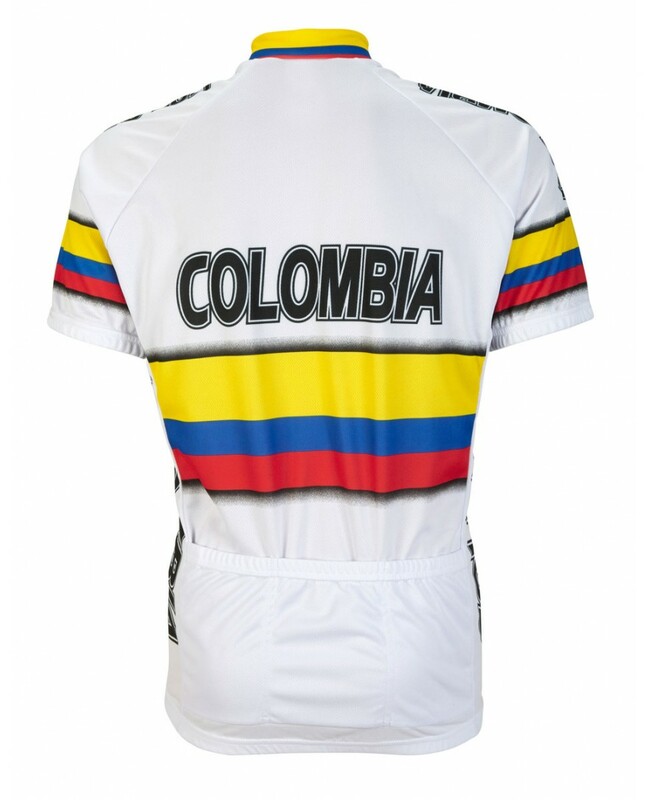 And speaking of a clean and elegant pattern, we use a heat sublimation process to print this cycling jersey, which bonds the bright colors to the feel-good fabric. That just means it stays looking bright wash after wash. Elastic waist and cuffs keep the jersey in place so it wears the way you move. Three large rear pockets keep your stuff out of your way so you can keep just dig in and enjoy the ride. By the way, the cut is designed for cycling; no sense going to all this trouble and then having it fit like some crummy t-shirt! Full length Zipper is great for extra ventilation. Zips all the way down for when you need a little extra breeze. Three Back Pockets on the back of this cycling jersey for holding all your essential items from a water bottle, tube or nutrition bars.